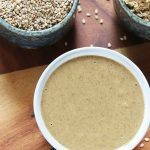 Tahini recipe – Tahini is a condiment made using sesame seeds and is commonly used in the Mediterranean and middle eastern cuisines. Apart from serving it as a dip, it is also used to make Hummus, Baba Ghanoush and tahini sauce to serve with falafel, chicken shawarma, wraps and burger. There are so many ways this is been put to use. 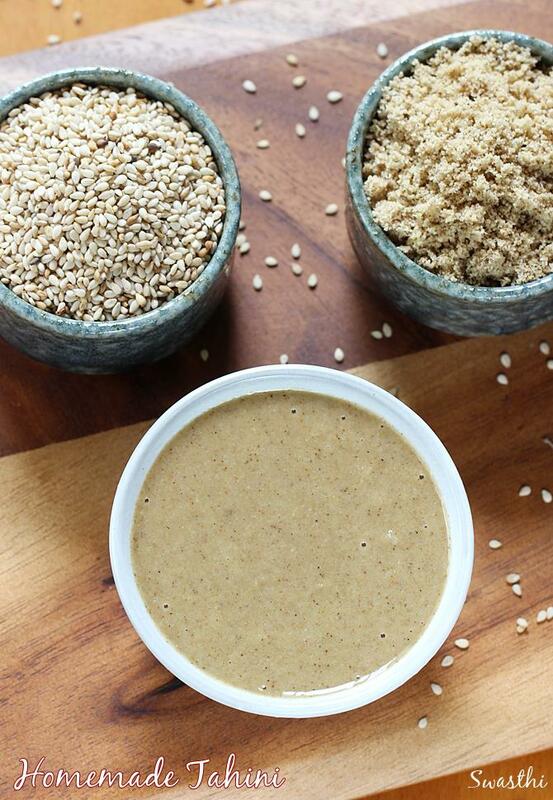 Since tahini is high in protein and calcium I often use it as a spread in the wraps for my kids. 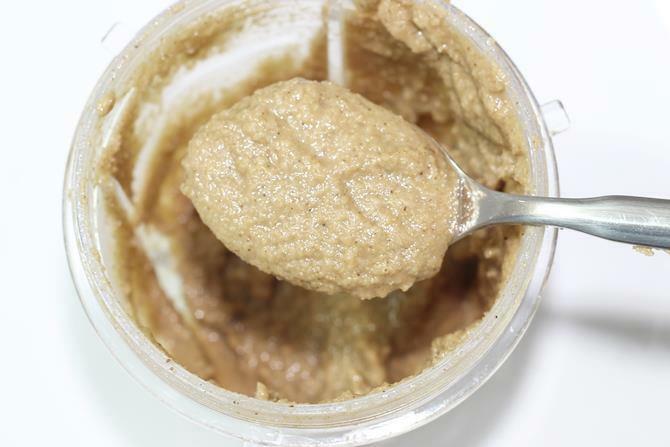 Making tahini at home needs a bit of patience if you are washing and toasting them but it is worth the do. You will have fresh smelling and tasting sesame paste with all the goodness of nutrition in it. Sesame seeds are not only high in calories but also a rich source of protein, calcium, magnesium, copper, iron and zinc. Regular use of these in ground form may help underweight kids to gain some weight. I usually powder a batch and bottle it to use for hummus or any vegetable stir fry, curries, chutney or salads. 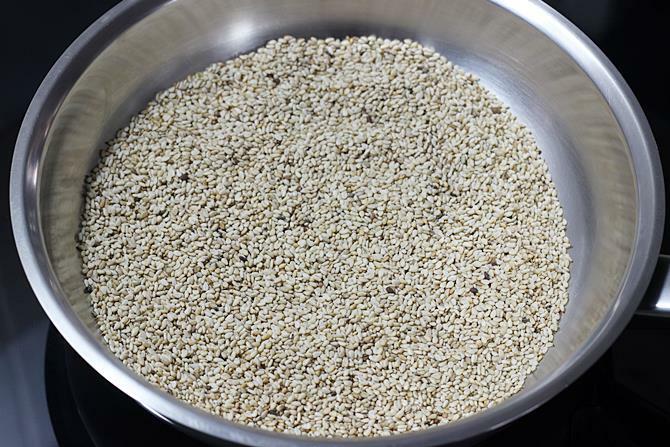 To make tahini, I buy organic sesame seeds and wash them thoroughly. Immediately drain them and spread well on a clean cotton cloth. Then I roast the sesame seeds until they begin to pop. This brings out the flavor. Roast sesame seeds on a low to medium flame. Cool them completely. Add them to a processor or blender jar along with salt if using. 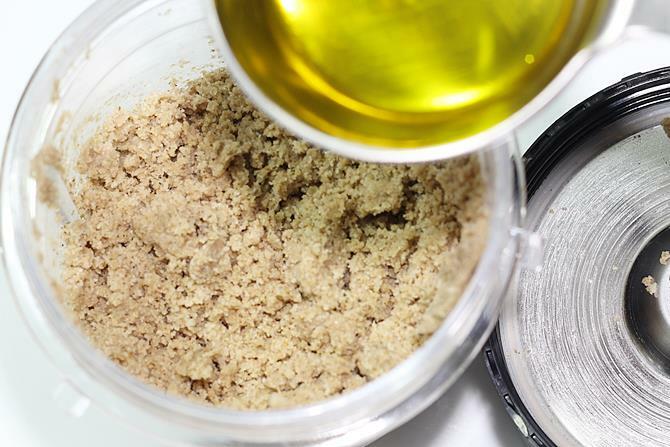 Add the oil as needed and blend until it turns to a smooth paste. Store it in a airtight glass jar. 1. Dry roast cleaned sesame seeds on a medium flame until they begin to pop. 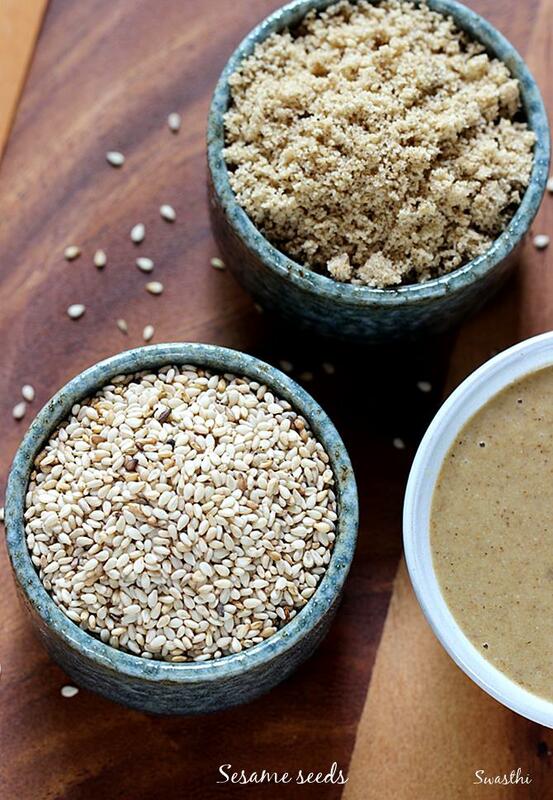 If you prefer raw tahini, you can skip roasting. 2. Cool completely and add them to a blender or food processor jar. 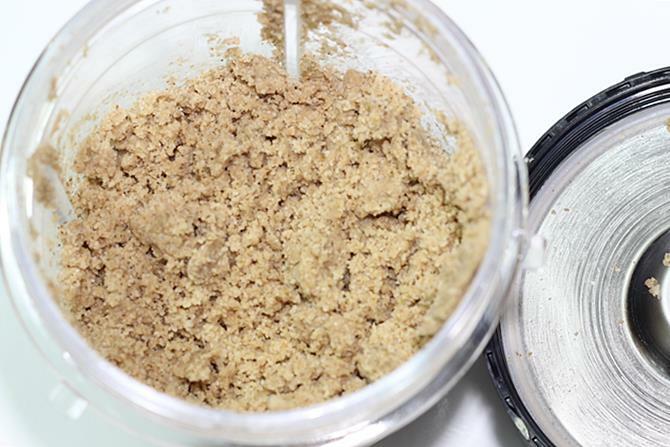 You can also make this in a regular Indian mixer grinder jar. You can add a pinch of salt if you like. 3. Blend it on a medium speed until all the seeds are crushed well. You can scrape off the sides and repeat again. 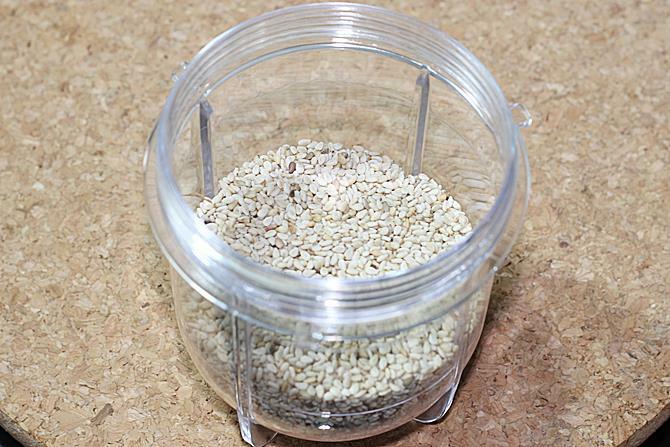 Make sure the jar or the seeds do not turn hot or warm while blending. 4. Add olive oil. Make sure the seeds are well crushed before adding oil. 5. Blend well again until you get a smooth consistency. Tahini is ready. Store it in a clean airtight glass jar. This keeps good for few months, but best thing is to make it in small quantities and use up with in a month. Singapore has a tropical climate, some foods do not keep good without refrigeration so I refrigerate it and use up within 2 weeks. 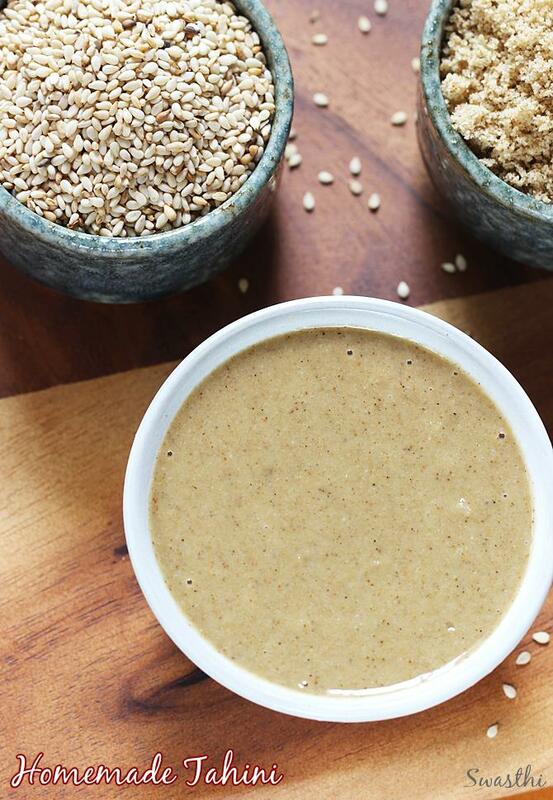 Here are some quick ideas to use tahini for kids. 1. Wrap & sandwich: Spread tahini on a roti / bread. Toss some steamed or fresh vegetable juliennes in little salt, pepper powder,lemon juice and any spice powder like garam masala or all spice. Add these to the tahini spreaded roti. Wrap it and serve. If using bread, just cover with another slice of toasted bread. 2. Jam toast or wrap: Spread tahini over a butter toasted slice of bread or roti or tortilla. Spread some fruit jam. Wrap or cover with another slice of bread. 3. Pasta & noodles: Add a spoonful of this to your kids pasta or noodles towards the end and toss.